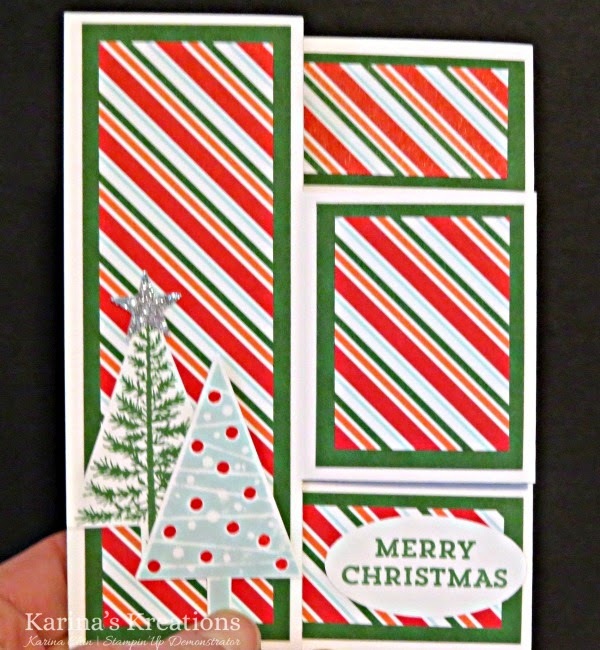 Karina's Kreations: Festival of Trees Card! We made this cute card at my coffee and card class. It's a lot easier than it looks and it's a great way to use up designer series paper. Leave me a comment if you want the instructions for this card. oh oh... I hope this doesn't leave 2 comments. My last comment seems to have disappeared, but we all know THAT trap! What I said was that I LOVE this card! and would love the instructions. When I first showed the Festival of Trees bundle, my "ladies" were unimpressed UNTIL I was able to show them all the cute cards they could make with it. They've been changing their minds! 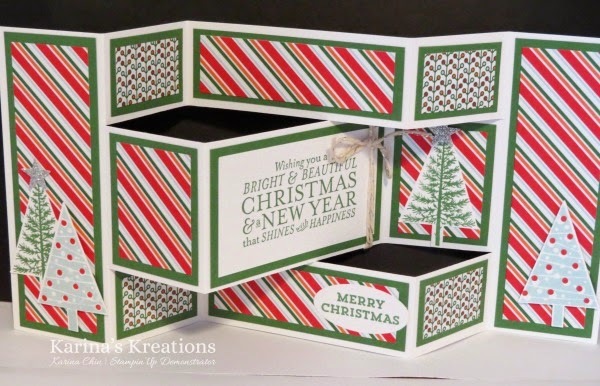 This one is a GREAT way to show off this stamp set, and use up some paper scraps! Thank you so much for posting! ctions for it on Wednesday or Thursday. I'm so happy you liked my card!